368 pages | 132 B/W Illus. Responding to cultural demands for meaning, user-friendliness, and fun as well as the opportunities of the emerging information society, The Semantic Turn boldly outlines a new science for design that gives designers previously unavailable grounds on which to state their claims and validate their designs. It sets the stage by reviewing the history of semantic concerns in design, presenting their philosophical roots, examining the new social and technological challenges that professional designers are facing, and offering distinctions among contemporary artifacts that challenge designers. Written by Klaus Krippendorff, recognized designer and distinguished scholar of communication and language use, the book builds an epistemological bridge between language/communication theory and human-centered conceptions of contemporary artifacts. 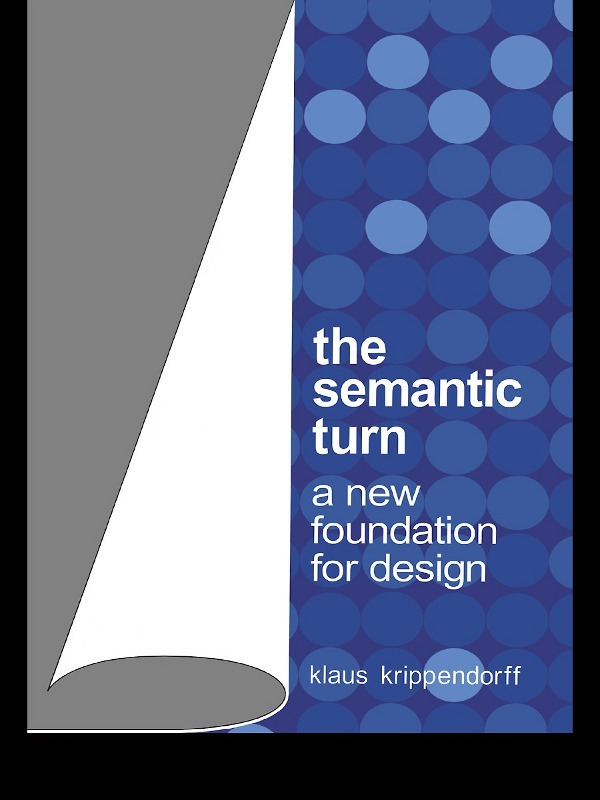 Clarifying how the semantic turn goes beyond product semantics and differs from other approaches to meaning, Krippendorff develops four new theories of how artifacts make sense and presents a series of meaning-sensitive design methods, illustrated by examples, and evaluative techniques that radically depart from the functionalist and technology-centered tradition in design. An indispensable guide for the future of the design profession, this book outlines not only a science for design that encourages asking and answering new kinds of questions, it also provides concepts and a vocabulary that enables designers to better partner with the more traditional disciplines of engineering, ergonomics, ecology, cognitive science, information technology, management, and marketing. Roots in the Ulm School of Design?